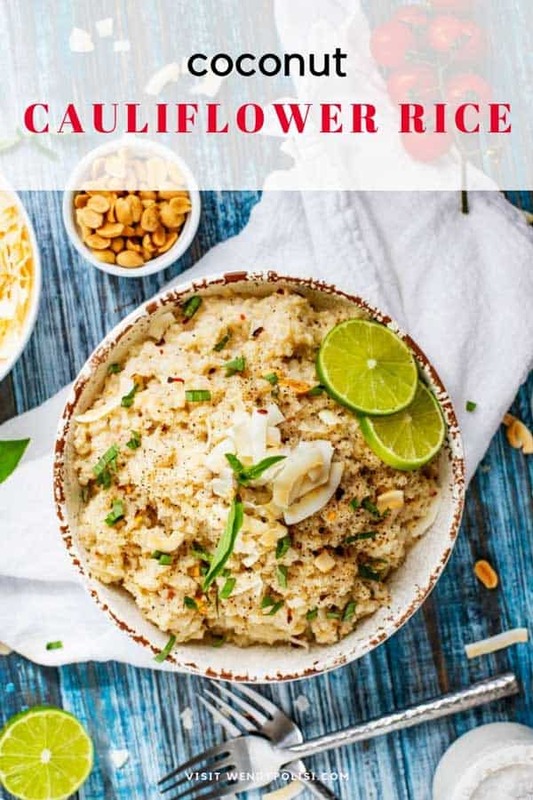 I think you are going to go nuts for this Coconut Cauliflower Rice! What’s not to love about a bowl full of creamy, garlicky goodness, with just the right amount of kick? One bite and you will realize that it is just as good as the “real thing”! 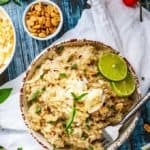 Creamy, dreamy Coconut Cauliflower Rice! When I first heard someone talk about riced vegetables, I will admit I was a bit skeptical. As a girl (err…women) who loves her carbs, it didn’t seem possible that produce could stand in for rice. I understood the concept, in theory. It just seemed like the kind of thing you were going to make once and then apologize to the family that they had to endure it and promptly promise to never make it again. It was several years back when I first tried it, and I will be the first to admit that my initial reaction was completely off base. Unlike when you try to pretend that a veggie burger is a “real” burger when I eat riced cauliflower, I sometimes forget that it isn’t the “real thing”. 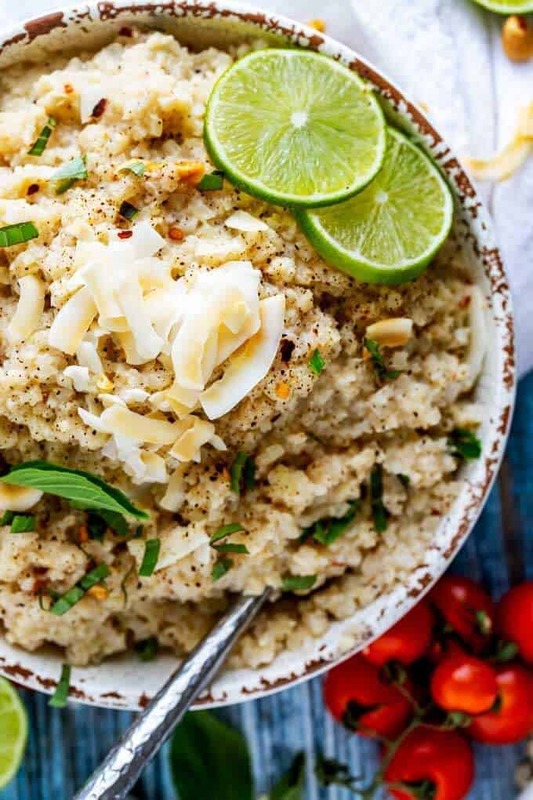 Especially if it is well seasoned, like this Coconut Cauliflower Rice. Guys….this creamy dish is so easy to make and nothing short of a dream. I paired it with a Curry Chicken Satay (recipe coming soon), and it was one of the best meals I’ve had in a while. I had my son take it to my husband for lunch while he was working, and he was so blown away by how good it all was! After he ate he came over to the house and wanted to make sure it wasn’t one of those things that I did playing in the kitchen that I could never reproduce again. Needless to say, he was relieved to know that both recipes were for the website and had, in fact, been written down. 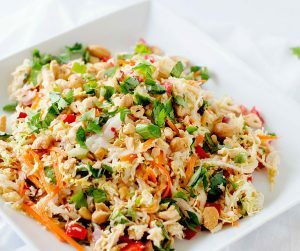 This yummy side takes less than 30 minutes to make! You definitely don’t want to miss this dish. Melt butter in a large skillet over medium heat. 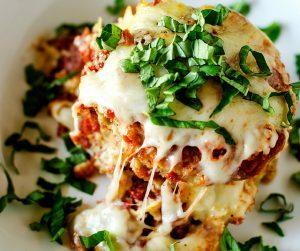 Add cauliflower and cook for 5 minutes. Cover and cook for 10 to 15 minutes, until most of the liquid is absorbed but the dish is still creamy. Uncover and stir in lime juice. 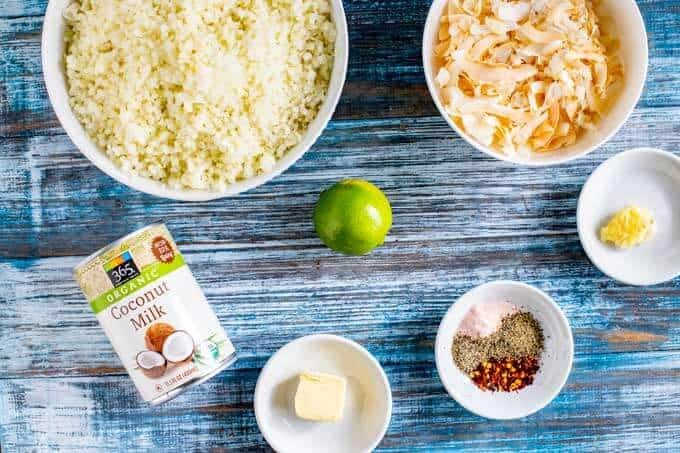 Serve warm with coconut flakes. 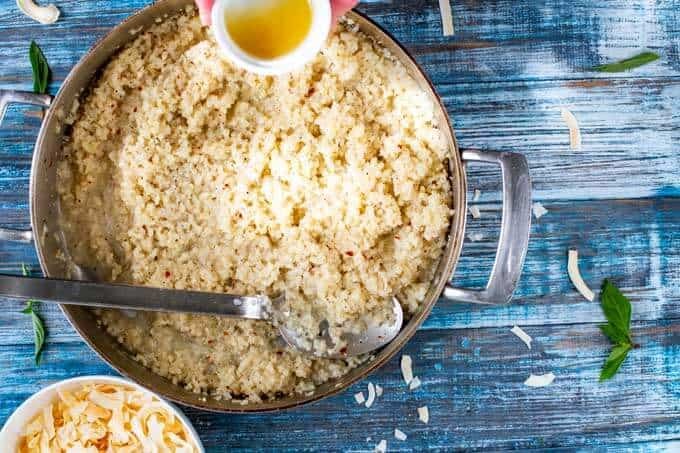 Can I just make cauliflower rice rather than buy it! 2. 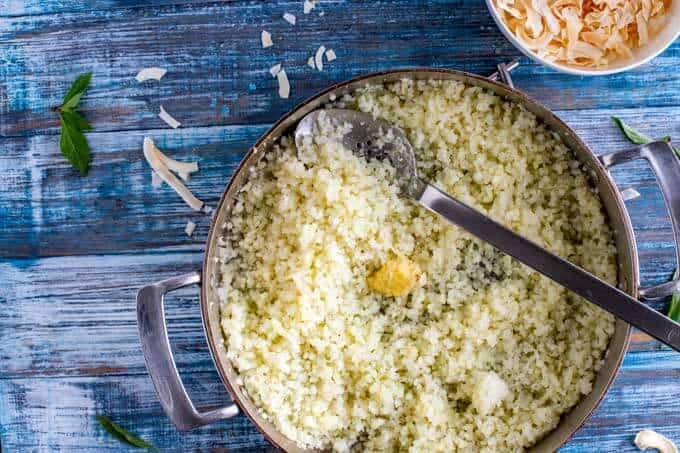 You can also grate the cauliflower with a hand grater or buy prepared cauliflower rice. How long can this be stored in the refrigerator? This should last in the refrigerator for 3 to 4 days. 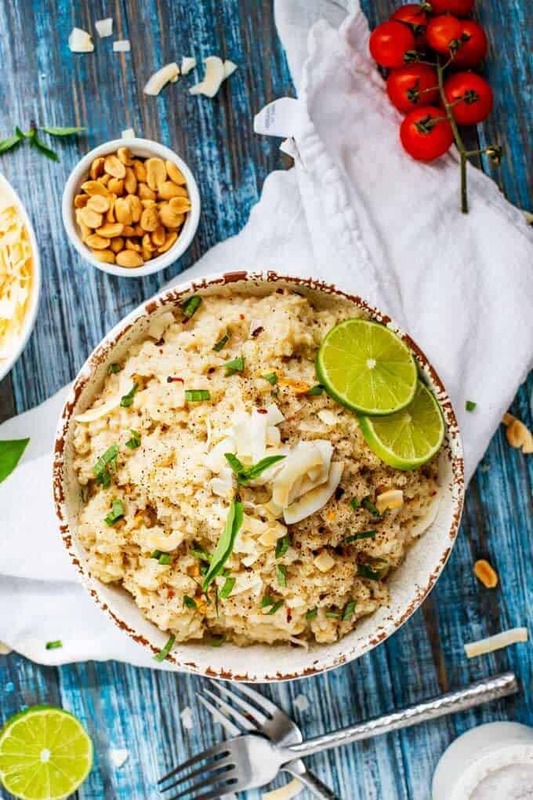 I think you are going to go nuts for this Coconut Cauliflower Rice! What’s not to love about a bowl full of creamy, garlicky goodness, with just the right amount of kick. One bite and you will realize that it is just as good as the “real thing”! Stir in coconut milk, salt, black pepper, and crushed red pepper. Cover and cook for 10 to 15 minutes, until most of the liquid is absorbed. Uncover. 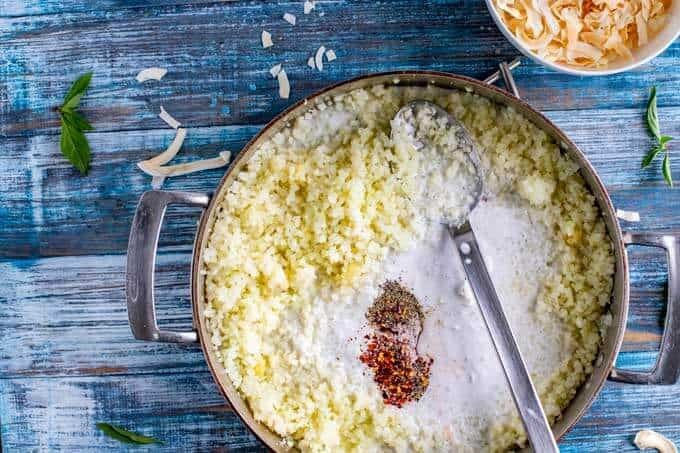 Toss with lime juice and garnish with coconut flakes.